"Bringing people and ideas together to transform community"
The time for old approaches to leadership has passed. Inspirational, charismatic leadership based on status and position has revealed its limitations. Communities resist being pushed and prodded like cattle into action. People all over the world, democratized or not are saying to their leaders “we have the right to be heard, we have the right to hold a different opinion about matters we all care about, talk with us not to us...” Leaders clinging to the old ways are bewildered by what they see as a lack of respect and yearn for the “good old days”. Leaders must now think and act strategically; the shoot first and ask questions later mentality belongs to the past and has no traction with an engaged committed citizenry. Social challenges can only be met through collective action, dialogue and the strengthening of social networks. This course nurtures an appreciation and understanding of facilitative leadership. It builds the self-awareness of leaders, cultivates deep listening and helps them lead in ways that bring people and ideas together to transform community. The course provides a safe, supportive learning environment where community leaders can learn and reflect together with peers who share similar work challenges and commitment. 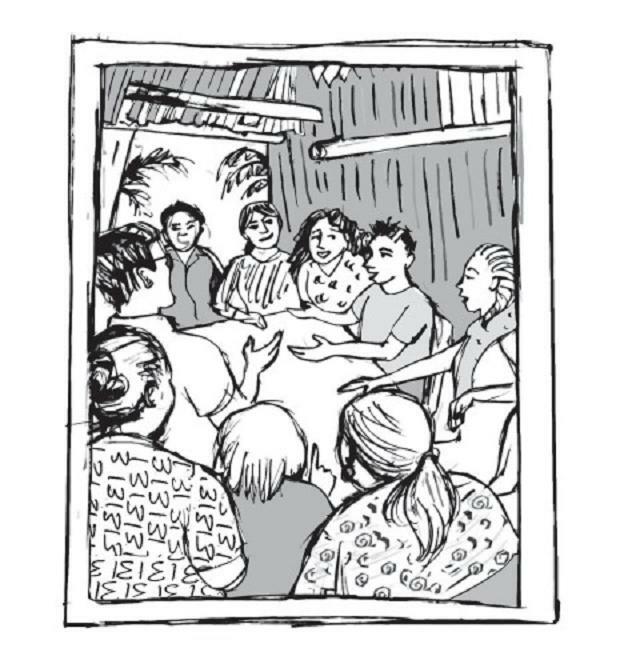 The approach combines action-learning and reflection; it places value on the experience of participants and creates a safe space for everyone to work with their own experience. The experiential learning is embedded in reflection as the foundation for purposeful learning and improved action – individuals have an opportunity to reflect on their own leadership practice in the context of peer support. Participants are introduced to challenging ways of developing their confidence, willingness and competence to work with their own power as well as understanding their leadership roles as facilitators of change and agents of transformation in community. in the context of a supportive learning environment participants are introduced to concepts that provide a framework for helping them make sense of their experience. This course is not offered publically but can be run in situ on request.